The process of developing new and disruptive medical products involves heavy investments, both in terms of time and cost. Estimates suggest that each prescription drug requires an average of about 10 years and over USD 2.5 billion in working capital before it gets commercialized. In order to gain regulatory approval and establish standards for the safety and efficacy of these products, randomized clinical trials (RCTs) are conducted; these account for a staggering 40% of the pharmaceutical industry’s budget.In addition to excessive R&D costs, these trials are fraught with various other challenges, such as prolonged delays and risk of failure / termination. It is also worth highlighting that most clinical trials are conducted under controlled conditions and involve a fairly homogenous patient population; however, when such products are approved, there are a variety of factors (both genetic and environmental) that need to be considered while treating individual patients. Data generated from real world applications of drug / therapy products partly addresses the aforementioned complexities and serves to complement the insights derived from controlled RCTs. Real world evidence has demonstrated the potential to validate the therapeutic value of pharmaceutical products and help customize product development in a more patient centric manner. In December 2016, the 21st Century Cures Act was passed directing the FDA to evaluate the applications of real world evidence in supporting healthcare decision-making. Its numerous applications have further encouraged pharmaceutical companies and health economists to utilize it in the evaluation of product candidates targeting even the rarest of medical conditions. In fact, it is estimated that, on an average, a big pharmaceutical company spends nearly USD 20 million annually for generating real world evidence-based insights. The growing importance of real world evidence in healthcare decision-making is also evident from the number of tweets (~4,400) posted on the social media platform, Twitter, in recent years. It is also worth noting that, since 2017, close to 75 global events (which include summits, forums, conferences and annual meetings) have been organized to discuss different aspects of real world evidence. Further, in the past few years, more than 1,000 studies have been initiated by stakeholders in real world setting to assess the impact of pharmacologic / non-pharmacologic treatment on patients and healthcare systems. Various initiatives are underway to further explore the potential of real world evidence in different stages of drug development. We believe that such efforts are likely to boost the overall growth of this market in the coming years. Scope of the Report The ‘Pharmaceutical and Life Sciences Real World Evidence: Market Landscape and Competitive Insights, 2018-2030’ report features an extensive study on the industry players that are offering real world data / analytics / services to the pharmaceutical and life sciences industries. Amongst other elements, the report features: An overview of the current status of the market with respect to the companies providing real world evidence related solutions. It features information on their year of establishment, geographical location, size of the company, type of offering (real world data, analytics, and services), real world data sources (medical claims, clinical trials, clinical setting, pharmacy, patient-powered and others), and intended application areas (early stage research, clinical development, regulatory submission / reimbursement / market access, and post-approval studies). An elaborate discussion on data governance and the existing regulatory framework related to real world evidence across various geographies, namely North America (the US and Canada), Europe (the UK, Germany, France, Spain and Italy), and Asia-Pacific (Australia, China and Japan). A detailed publication analysis of close to 500 articles that have been published since 2016, highlighting the key focus areas of ongoing real world evidence-based research activity in the pharmaceutical and life sciences industries. The analysis also highlights the key prevalent trends associated with these publications, including information on the types of real world data sources utilized, leading indications, active stakeholders, and the most popular journals within this domain. A comprehensive analysis of completed, ongoing and planned studies conducted in the real world setting. For the purpose of this analysis, we considered only those studies that have been last updated since 2013, and analyzed them on the basis of various parameters, such as current trial status, regional distribution, type of sponsor, target indications, and enrolled patient population across different geographies. An analysis depicting the prevalent and emerging trends related to this domain as represented on the social media platform, Twitter. In addition to providing information on yearly trends related to the volume of tweets since 2013, the analysis highlights the most frequently talked about real world data sources, applications, therapeutic areas, active players, and influential authors. An in-depth analysis of recent events (summits / forums / conferences / annual meetings) that were organized for stakeholders in this domain, highlighting the evolution of discussion topics related to real world evidence. The analysis also provides details on event type, regional distribution, emerging agendas, popular organizers, active industry and non-industry players, and a schematic mapping of upcoming planned events. A discussion on affiliated trends, key drivers and challenges, under a SWOT framework, featuring a Harvey ball analysis, highlighting the relative impact of each SWOT parameter on the overall real world evidence market. A comparative analysis of the needs of different stakeholders (manufacturers, regulators, payers, providers and patients) involved in this domain. A list of recent use cases where real world evidence was leveraged by pharmaceutical / medical device companies, highlighting the ways in which companies have utilized such information to support regulatory decisions, advance disease understanding, and develop outcome-based reimbursement model. An insightful opportunity analysis, estimating the existing market size and potential growth opportunities across different applications (early stage research, clinical development, regulatory approval, pricing / reimbursement, and post-approval studies) of real world evidence. Based on multiple parameters, such as number of pre- or post-approval studies conducted annually, investment associated with these studies, and the likely cost and time saving opportunities, we have provided an informed estimate on the likely evolution of the market over the period 2018-2030. The opinions presented in this study were influenced by inputs (through a comprehensive survey) of several key players in this domain. In addition, the report features detailed transcripts of interviews held with the following individuals: Jane Reed (Head of Life Science Strategy, Linguamatics) Jonathan Moshinsky (Head of Market Strategy, uMotif) Anonymous (Vice President, Big Pharmaceutical Company) All actual figures have been sourced and analyzed from publicly available information forums and primary research discussions. Financial figures mentioned in this report are in USD, unless otherwise specified. Chronic disorders, such as diabetes, heart disease, obesity, mental health problems and insomnia, are considered to be the leading causes of death and disability across the world. These are largely considered to be the consequence of unhealthy lifestyle choices and exposure to harmful disease stimulants. According to a 2018 report published by the Center for Managing Chronic Disease at the University of Michigan, more than 50% of the global population currently lives with some form of chronic disease. Projections indicate that the global prevalence of diabetes (considered to be one of the fastest-growing chronic disease indications), is around 451 million, and is expected to reach 693 million by 2025. In addition, the World Health Organization (WHO) estimates that, at present, 450 million people worldwide are suffering from some form of mental health problem and / or neurological disorder. The increasing prevalence of such clinical conditions has imposed a significant burden on the modern healthcare system. In the US, the cost burden related to such long-term clinical conditions has been estimated to be approximately 86% of the USD 3.2 trillion that is spent by the country on healthcare, each year. Digital healthcare, a relatively new concept that emerged only a few years ago, is believed to possess the potential to address the rising concerns related to the growing socio-economic burden. 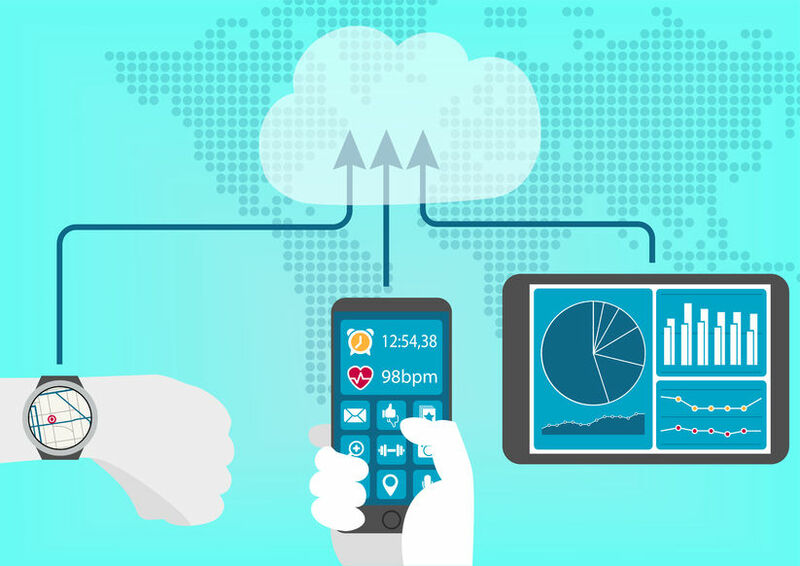 Driven by the demand for self-management approaches, personalized healthcare solutions and customized treatment regimens made available in the home-care setting, digital health companies are presently engaged in developing several innovative solutions for therapeutic, surveillance and diagnostic use. Various digital therapeutics, through behavioral and psychological interventions, have been designed to have a direct impact on the chronic clinical conditions by providing motivational support and encouraging patients to make better lifestyle choices. Such therapeutics are available in a variety of gaming solutions, standalone software applications or combinations of the aforementioned solutions with personal coaching support, artificial intelligence (AI) support and medical device(s). A number of digital therapeutics have already been marketed and a significant proportion of such candidate therapies are in R&D phase. In order to introduce such unconventional products into the market, companies have followed multiple approaches, which include both B2B and B2C variants. It is also worth highlighting that certain companies are even attempting to offer reimbursements for their proprietary products by conducting clinical trials in order to establish therapeutic credibility and convince insurance providers and payers. Significant advancements have also been made towards the development of novel solutions for remote monitoring and diagnosis of chronic disorders. Such solutions have been developed to provide healthcare assistance in real-time through smartphone applications and connected devices. These solutions vary significantly in complexity and range from simple solutions capable of tracking weight loss, blood pressure, body temperature and heart rate to more sophisticated solutions that are equipped to independently conduct blood tests to confirm the presence of a bacterial / viral infection. Scope of the Report The ‘Digital Health Market: Focus on Digital Therapeutic, Monitoring & Diagnostic Solutions, 2018-2030’ report features an extensive study of the current landscape and future outlook of the growing market for digital therapeutics, monitoring and diagnostic solutions that are either commercialized or under development within the healthcare industry. This burgeoning field presently offers a lot of opportunities to innovation focused start-ups and investors. Amongst other elements, the report features: A discussion on the current market landscape of digital therapeutics, monitoring and diagnostic solutions, featuring information on the various developers of digital solutions, along with information on their type of solution offered, primary disease area, mechanism of action, purpose of solution, status of development (discovery, research / development, approved and marketed), launch year (if applicable) and business channels being used by stakeholders in this domain. Detailed profiles of some of the emerging players in the industry, highlighting their current focus area(s), information on digital solutions offered and clinical research results (wherever available). Each profile also includes a section on recent developments and a comprehensive future outlook, highlighting the achievements, partnerships / collaborations, and the likely strategies that may be adopted by these players for future growth. A comprehensive product competitiveness analysis of digital therapeutics for the most popular therapeutic areas taking into consideration the product portfolio (based on the total number of digital therapeutics being developed in that disease area) and key specifications of the solution, such as disease management support, user motivation features, tracking of health data and others. A case study highlighting the focus area and results of clinical trials that have been conducted for the evaluation of various digital therapeutics. An analysis of funding and investments made into companies involved in this segment of the overall healthcare industry; the analysis covers information on seed financing, venture capital financing, debt financing, other equity financing and grants / awards received by these companies. An analysis of the partnerships that have been forged between companies in this domain in the recent past, covering clinical trial collaborations, product development and commercialization agreements, pilot product offerings, product integration and other relevant agreements. A detailed case study highlighting the various business models and go-to-market strategies adopted by companies involved in this space. It provides details on various channels being adopted by stakeholders in the industry to increase awareness and offer access to their proprietary products. A SWOT analysis capturing the key parameters and trends that are likely to influence the future of digital therapeutics market. One of the key objectives of the report was to understand the primary growth drivers and estimate the future size of the market. Based on multiple parameters, such as prices of digital solutions, indication / region specific adoption trends, distribution channels and competitive landscape, we have provided an informed estimate on the likely evolution of digital therapeutics and digital monitoring / diagnostic solutions till 2030. We have segmented the market by therapeutic areas (such as metabolic disorders, mental health disorders, cardiovascular disorders, substance use disorders, neurological disorders, chronic pain disorders, sleep disorders and respiratory disorders), distribution channels (B2C (patients) and B2B (healthcare providers, payers, employers and pharmaceutical companies)), purpose of solution (therapeutic or preventive), focus of solution (medication replacement or medication augmentation), type of solution (standalone software applications and software application + device or AI or personal coach) and key regions across the globe (North America (the US and Canada), Europe (Germany, France, Italy, the UK, Russia, and Spain), Asia-Pacific (China, Japan, India, Australia and South Korea) and rest of the world. In order to account for the uncertainties associated with the development of digital therapeutics and novel diagnostic / monitoring solutions and to add robustness to our model, we have provided three forecast scenarios, portraying the conservative, base and optimistic tracks of the market’s evolution. The opinions and insights presented in the report were also influenced by discussions held with senior stakeholders in the industry. The study includes detailed transcripts of discussions held with Adam Kaufman (Canary Health), Amelie Janson (Voluntis), Prayat Shah (Co-founder, Vice President, Partnerships, Wellthy Therapeutics) and Reshma Nayak (Vice President, Marketing and Communications, Wellthy Therapeutics), Stephanie Tilenius (Vida Health) and Vijay Ravindran (Floreo). All actual figures have been sourced and analyzed from publicly available information forums and primary research discussions. Financial figures mentioned in this report are in USD, unless otherwise specified. Batteries are considered amongst the most remarkable man-made inventions in history and have been the focus of intense investigation by both scientists and engineers across the globe. Evolving from the primitive Voltaic Pile (the first electrical battery created in 1799), which used zinc and copper electrodes and brine-soaked paper as an electrolyte, a wide range of batteries are now available in the market. Amongst these, lithium-ion (Li-ion) batteries have long been considered a breakthrough in the battery landscape, resulting in revolutionary growth in the chargeable consumer electronics industry. It is estimated that, at present, more than one billion rechargeable Li-ion cells are produced each year to cater to the demands of the portable electronics market alone. However, despite thier successful market deployment, excellent energy density and cost-effectiveness, certain limitations, such as concerns related to the use of liquid electrolytes (risk of leakage and flammability), have also been associated with Li-ion batteries. A case-in-point being Samsung’s massive global recall of its Galaxy Note 7 series of mobile phones in September 2016, due to the safety issues associated with the Li-ion batteries used in them. It is also worth highlighting that a wide variety of niche and disparate application areas, such as miniature medical devices, smart wearables, wireless sensors / IoT devices, radio frequency identification (RFID) tags, powered smart cards, cosmetic patches, smart labels / packaging, electric / hybrid vehicles, and energy storage systems have surfaced in the past few years. Most of these advanced technology-enabled applications require new form factors and designs that conventional Li-ion batteries are unable to provide, pertaining to their size and safety limitations. These drawbacks have opened the door to immense innovation opportunities and added a new dimension to the competition amongst global battery developers, resulting in the establishment of next-generation battery technologies. In contrast to the conventional Li-ion batteries, next-generation product chemistries, which include lithium polymer, printed, solid-state, thin film and ultra-thin films batteries, have been proven to be safe under abusive conditions, demonstrated significant improvements in terms of overall performance, and are environmental-friendly. Moreover, owing to their flexible form factor, it is believed that these batteries can offer virtually limitless flexibility in term of design, materials and construction. At about 1/10th of the thickness of the thinnest prismatic liquid Li-ion cells, next-generation batteries have demonstrated significant potential to serve various upcoming markets. As a result, these batteries have captured the interest of several stakeholders in this industry; in fact, since 2010, over 7,000 patents have been published on next-generation battery technologies. It is anticipated that as the market becomes more mature, it is likely to benefit from economies of scale, resulting in further performance improvements and cost reductions. Scope of the Report The ‘Next-Generation Batteries Market, 2018-2030’ report features an extensive study of the current landscape and future outlook of the growing opportunities for next-generation batteries (beyond Li-ion). The focus of this study is on advanced battery chemistries that are currently being developed / have already been developed, such as lithium polymer (LiPo) batteries, solid-state batteries, thin film batteries, printed batteries and other advanced variation of Li-ion batteries, and the likely evolution of these novel concepts in the mid to long term. Backed by funding from several venture capital firms and strategic investors, this evolving market has its hopes pinned on the efforts of a significant number of start-ups, small-and mid-sized companies. Amongst other elements, the report features: A detailed assessment of the current market landscape, providing information on various types of next-generation batteries, their respective specifications (such as thickness, capacity, voltage, operating temperature, cycle life / shelf life and chargeability), and targeted application areas. Elaborate profiles of some of the leading players in the industry, highlighting the current focus of various companies, financial information, proprietary battery technologies and specific products. 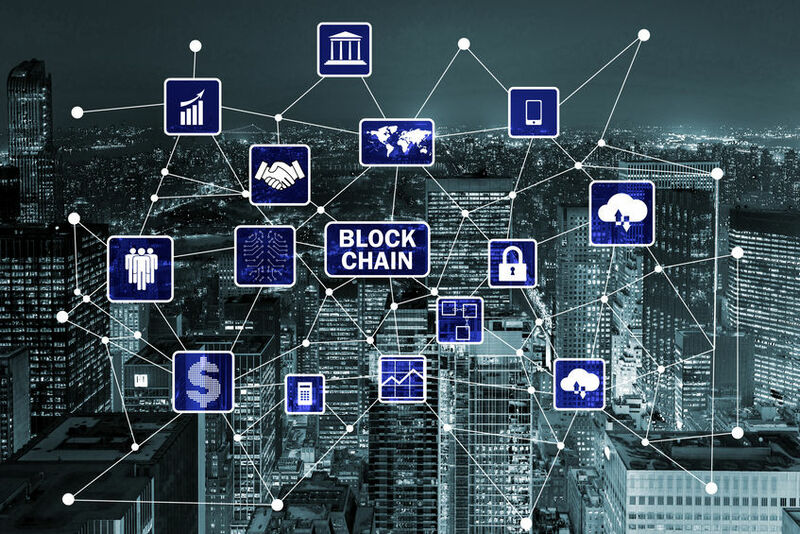 Each profile also has a section on recent developments, highlighting the achievements, partnerships / collaborations, and the likely strategies that may be adopted by these players to fuel growth in the foreseen future. An in-depth patent analysis to provide an overview of how the industry is evolving from the R&D perspective. For this analysis, we looked at the patents that have been published by various industry players since 2010, across different types of next generation batteries. The analysis also highlights the key trends associated with these patents, including patent type, regional distribution, CPC classification, IP litigations, emerging areas and leading industry players. A comprehensive benchmark analysis, highlighting the key focus areas of small, mid- and large-sized companies; primarily, it provides a means to compare the existing capabilities of companies within and beyond their peer groups, and help them identify ways to achieve a competitive edge over contemporary players. An analysis of investments made at various stages of product development; these include seed financing, venture capital financing, debt financing and grants / awards received by the companies that are operating in this area. One of the key objectives of the report was to understand the primary growth drivers and estimate the future size of the market. We have provided an informed estimate on the likely evolution of the market for the period of 2018-2030 across several potential application areas of next-generation batteries, such as consumer electronics, electric vehicles, medical devices, powered smart cards / smart labels, RFID tags, smart wearables and wireless sensors / IoT devices. In addition, on the basis of the likely usability of different next-generation battery types across aforementioned applications, we have provided the distribution of the market across various types of batteries, such as lithium polymer, printed, solid-state, thin film, ultra-thin and other types of advanced Li-ion batteries. The forecast also includes distribution of the market opportunity across major regions of the globe, namely North America, Europe and Asia-Pacific. Considering the uncertainties related to investments and large-scale production of next generation batteries across different geographies, and to add robustness to our model, we have provided three forecast scenarios, representing the conservative, base and optimistic tracks of the market’s evolution. The opinions and insights presented in this study were influenced by discussions conducted with several stakeholders in this domain. The report features detailed transcripts of interviews held with the following individuals: David A. Ainsworth (CEO, OXIS Energy) Graeme Purdy (CEO, Ilika) Jeff Sather (VP, Technology and Customer Solutions, Cymbet) Lisa Hsu (Spokesperson and Deputy Marketing Manager, ProLogium Technology) Pritesh Hiralal (CEO, Zinergy UK) Xiachang Zhang (Chairman, Enfucell) Yuan Yang (Assistant Professor, Columbia University, New York) All actual figures have been sourced and analyzed from publicly available information forums and primary research discussions. Financial figures mentioned in this report are in USD, unless otherwise specified. With growing electricity consumption, the peak electricity demand is expected to increase manifold by 2050. It is believed that, owing to their intelligence features, smart grids have the potential to reduce the projected peak demand increases by up to 24% across some of the major regions of the world. This is because sensors in smart grids can detect peak load in advance and divert surplus supply from low demand areas to meet the peak requirements in a particular region.Moreover, with countries having ambitious renewable energy targets, it is important to ensure that a compatible infrastructure is put in place in parallel. Several geographies across the world have already recognized the need of upgrading to smart grids and have taken initiatives to encourage this transition. The US, for instance, allocated USD 4.5 billion initially towards grid modernization; the investment increased over the years under the American Recovery Reinvestment Act of 2009. In Europe, the European Technology Platform (ETP) SmartGrids was formalized in 2005 to create a vision for the European networks till 2020 and beyond. A recent 2017 report by Joint Research Centre (JRC) included 950 smart grid projects (R&D and demonstration) across Europe; across these, a total of EUR 5 billion has been invested. Emerging economies are also planning to upgrade existing systems to smart grids. The ambitious renewable energy targets of countries such as China and India are expected to drive the smart grids market in the future. In China, the government announced an investment of USD 96 billion between 2010 and 2020 to accelerate smart grids deployment. Similarly, in India, several pilot stage smart grid projects are underway. Smart Grids are expected to play a pivotal role in clean energy initiatives. Specifically, smart meters are amongst the most focused infrastructures across several countries. In the US, more than 75 million smart meters had been installed by 2017.In addition, the EU has set a target of replacing at least 80% (~ 245 million) of the conventional electricity meters with smart meters by 2020. In fact, it is reported that Sweden, Finland, Italy and Luxembourg have already reached full deployment.The EU Smart Grids Task Force believes that the planned rollout of smart meters and smart grids has the potential to reduce carbon emissions in the EU by 9%. Scope of The Report The ‘Smart Grids Infrastructure Market, 2018 - 2030’ report features an extensive study of the current landscape and future outlook of the growing market for smart grids. The focus of this study is on the smart grids infrastructure, equipment, modules / components / systems offered by different players. The field is backed by grants / investments from various government agencies and is characterized by the presence of several well-established companies. 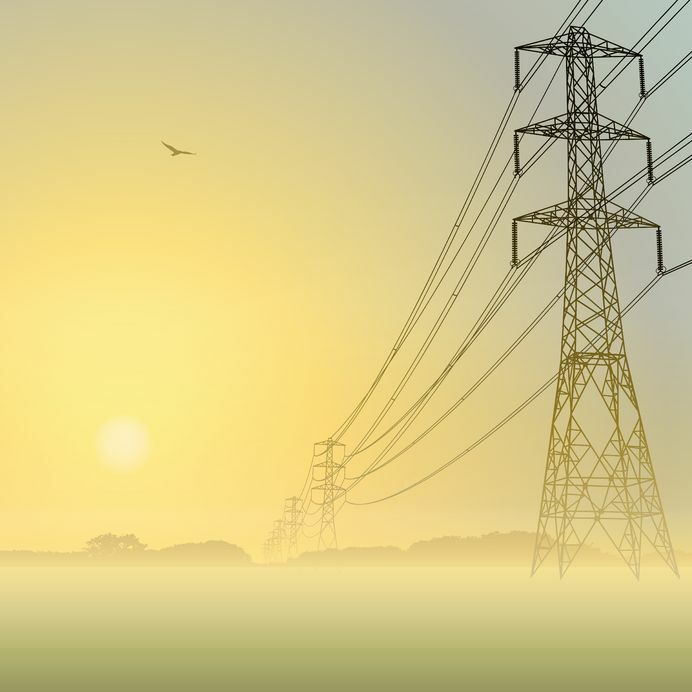 Amongst other elements, the report features: A detailed assessment of the current market landscape, providing information on various infrastructure components offered by companies for deploying smart grids in an existing network; these include transmission and distribution equipment, substation automation modules / components and supported communication channels. Detailed profiles of some of the leading players in the industry, highlighting the current focus of the companies with details on their specific smart grid infrastructure equipment / module / component / systems and services. The profiles also include a section on recent developments, highlighting the achievements, partnerships / collaborations and the likely strategies that may be adopted by these players to fuel growth in the foreseen future. A comprehensive benchmark analysis, highlighting key focus areas of small, mid-sized and large sized companies; the benchmark analysis provides a means to compare the existing capabilities within respective peer groups and help industry stakeholders identify ways to achieve a competitive edge over contemporary players. A detailed market attractiveness analysis elucidating the attractiveness of major markets across the globe based on parameters that are likely to determine the future growth opportunities in specific regions. A case study highlighting the regulatory initiatives across various geographies and the regulatory standards / norms designed for a uniform and standardized smart grid deployments. An overview of some of the recent smart grid deployment projects across the EU, North America and rest of the world (Australia, China, India, Japan and South Korea). Specifically, we have highlighted the current focus area across the regions defined by the type of projects that have been undertaken (AMI, distribution network or transmission network). One of the key objectives of the study was to understand the primary growth drivers and estimate the future size of the market. We looked at the likely future investments to be made in the key geographies (the US, the EU, China, Japan, South Korea, Australia, Canada, Russia, Singapore, India and UAE). Based on this, we have provided an informed estimate on the likely evolution of the market in the long term, for the period of 2018 - 2030. Considering the uncertainties related to the investments and political influence across the geographies, and to add robustness to our model, we have provided three forecast scenarios, representing the conservative, base and optimistic tracks of the market’s evolution. The opinions and insights highlighted in this report were influenced by discussions held with senior stakeholders in the industry. These include Emmanuel Albert (CEO, Trispectra Innovation), Fulvio Ferrari (Founding Partner, Wemworld) and Jenny Erwin (Business Development Manager, Smart Wires). All the actual figures have been sourced and analyzed from publicly available information forums and primary research discussions. Financial figures mentioned in this report are in USD, unless specified otherwise. The digital revolution has transformed the way businesses operate across the globe. However, digitally stored information is prone to hacking and manipulation by cyber criminals. The concern is validated by the fact that more than 5.1 million records are compromised due to data breaches every day. In 2016, close to 1,800 incidents of data breaches were reported across all the industries; in total, almost 1.4 billion data records were lost or stolen. The year 2017 also witnessed several cyberattacks; notable examples include WannaCry and NotPetya ransomware attacks, Equifax data breach, MongoDB databases leak, Elasticsearch server hack, Cloudbleed security bug, Zomato hack, HBO hack / Game of Thrones leaks, Uber data breach, and Ethereum hack. The healthcare industry has been amongst the prime targets for hackers over the last several years. The Ponemon Institute’s Fifth Annual Study reported that cyberattacks in healthcare have increased by a factor of 125% since 2010. In the first half of 2017, the healthcare industry had been compromised a number of times, having experienced a total of 228 data breaches, representing 25% of the total number of breaches worldwide. Across these instances, around 31 million records were compromised, stolen or lost, representing an increase of 423% as compared to the first six months of 2016. In addition, according to a report published in May 2016, it is estimated that, with each electronic health record (EHR) costing around USD 355 in the black market, healthcare data breaches have resulted in losses worth USD 6.2 billion per year to the US healthcare industry. Examples of organizations that have recently been the victims of cyberattacks / security incidents include (in alphabetical order) Abbott / St. Jude Medical, Anthem BlueCross BlueShield, Bayer, Bupa Global Health Insurance, Bronx Lebanon Hospital Center, HealthNow Networks, Johnson & Johnson, Med Center Health, Merck, National Health System (NHS), Pacific Alliance Medical Center, Patient Home Monitoring, and Smiths Medical. In order to overcome these challenges, various cybersecurity solution providers have started to specifically focus on healthcare. Along with the presence of big companies, the entry of several start-ups is driving the innovation in this domain. Contrary to the expectation, capital spending on cybersecurity in the healthcare industry is far less compared to some other industries. In addition, the scarcity of skilled cybersecurity professionals capable of catering to the complex regulatory demands in the healthcare industry is making it even more difficult for the successful implementation of cybersecurity policies across this field. Scope of the Report The ‘Cybersecurity in Healthcare Market, 2018-2030’ report features an extensive study of the current landscape and future outlook of the growing market of cybersecurity within the healthcare industry. The focus of this study is on the cybersecurity products / solutions and services that are currently available for protecting internet connected devices against cybercriminals, and the likely evolution of novel technologies / platforms in the mid to long term. Backed by funding from several venture capital firms and strategic investors, this evolving market has its hopes pinned on the efforts of multiple start-ups. Amongst other elements, the report features: A detailed assessment of the current market landscape of cybersecurity within the healthcare domain, providing information on cybersecurity core products / solutions, threat intelligence solutions, information on different threat types, security elements and modes of deployment. Detailed profiles of some of the emerging players in the industry, highlighting the current focus of the companies, capital raised, and details on their specific cybersecurity products / solutions and services. The profiles also have a section on recent developments, highlighting the achievements, partnerships / collaborations, and the likely strategies that may be adopted by these players to fuel growth in the foreseen future. A comprehensive benchmark analysis, highlighting key focus areas of mid to large sized companies, thereby, providing a means to compare the existing capabilities within respective peer groups and help industry stakeholders identify ways to achieve a competitive edge over contemporary players. In addition, we have provided detailed profiles of some of the established players within each peer group. An analysis of investments made at various stages of product development; these include seed financing, venture capital financing, debt financing and grants / awards received by the companies that are focused in this area. An elaborate valuation analysis of companies that are involved in providing cybersecurity products / solutions / services to the healthcare industry; for the purpose of this analysis, we focused on companies that have been established over the last 5-6 years. An overview of how artificial intelligence (AI), machine learning and deep learning techniques can augment cybersecurity, once integrated. In addition, we have outlined a detailed assessment of the current market landscape of AI-based cybersecurity, and provided high-level insights on the market competitiveness within this domain. A case study on cybersecurity use cases within the healthcare industry, highlighting some of the notable healthcare data breaches and security incidents that have happened in 2017. In addition, we have briefly outlined some of the recently reported medical device hacks / security vulnerabilities that led to the recalling of these devices. One of the key objectives of the report was to understand the primary growth drivers and estimate the future size of the market. Based on various parameters, such as number of healthcare data breaches, number of records compromised, expected pricing of the stolen medical records and spending trends on cybersecurity in the healthcare industry, we have provided an informed estimate on the likely evolution of the market in the long term, for the period 2018-2030. To account for the uncertainties associated with the number of data breaches, and to add robustness to our model, we have provided three forecast scenarios, portraying the conservative, base and optimistic tracks of the market’s evolution. The opinions and insights presented in the report were also influenced by discussions held with senior stakeholders in the industry. These include Garrett Silver (CEO, Critical Informatics), John Gomez (CEO, Sensato), Matan Kubovsky (VP, R&D, illusive networks), Mike Kijewski (CEO, MedCrypt), Mike Meikle (CEO, secureHIM), Robert Dobson (Director, Device Authority) and Rosa Lenders (Marketing Executive, Device Authority), Rod Schultz (CPO, Rubicon Labs) and Julia Cline (Senior Director, Product and Marketing, Rubicon Labs), Saïd Kenj (Account Executive, Cyberlytic) and Rebecca Bourke (Marketing Manager, Cyberlytic), Steve Leatherman (IT Consultant, BlackRidge Technology), and Yoni Shohet (CEO, SCADAfence). All actual figures have been sourced and analyzed from publicly available information forums and primary research discussions. Financial figures mentioned in this report are in USD, unless otherwise specified. The renewable energy industry has witnessed an unprecedented growth in the last few years, owing to the increasing energy demand and concerted efforts to prevent environmental damage. Factors, such as increasing population, advances in technology, rapid industrialization in emerging markets (such as China and India), rising standard of living, and globalization are driving the global demand. In fact, the global economy is predicted to grow three folds between now and 2050; this is anticipated to create a significant increase in demand for energy around the world. It is well known that, owing to the detrimental effects of non-renewable sources on the environment, the focus has shifted towards renewable energy sources. Amongst the available energy sources, non-renewables (including fossil fuels and nuclear energy) have a share of about 76.3% and renewables have a share of about 23.7%, in global electricity production. The Paris Agreement at the 21st Conference of Parties (COP), the first ever legally binding global climate deal, was signed by 195 countries in 2015, where it was decided to limit the global average temperature rise to 1.5C till the year 2100, by reducing carbon emissions. Even though quite recently, the US has decided to pull out of the agreement, other countries, such as China and India, are still optimistic about the success of the agreement. As a result of the aforementioned developments, there has been a rapid surge in installation of solar photovoltaics. In 2017 alone, about 74 GW of solar photovoltaics (PV) were installed across the globe, taking the cumulative installed solar PV capacity to over 300 GW. More growth is predicted in the future; the International Renewable Energy Agency (IRENA) has estimated that the global photovoltaic installations will reach between 1,760 GW and 2,500 GW by 2030. Historically, crystalline silicon (c-Si) photovoltaic cells have dominated the solar PV market, occupying a share of about 90%. However, it is believed that the cost reduction potential, as well as efficiency increase potential in case of silicon based photovoltaic modules are limited. Therefore, the industry’s focus is gradually shifting towards the use of thin film photovoltaic technologies. 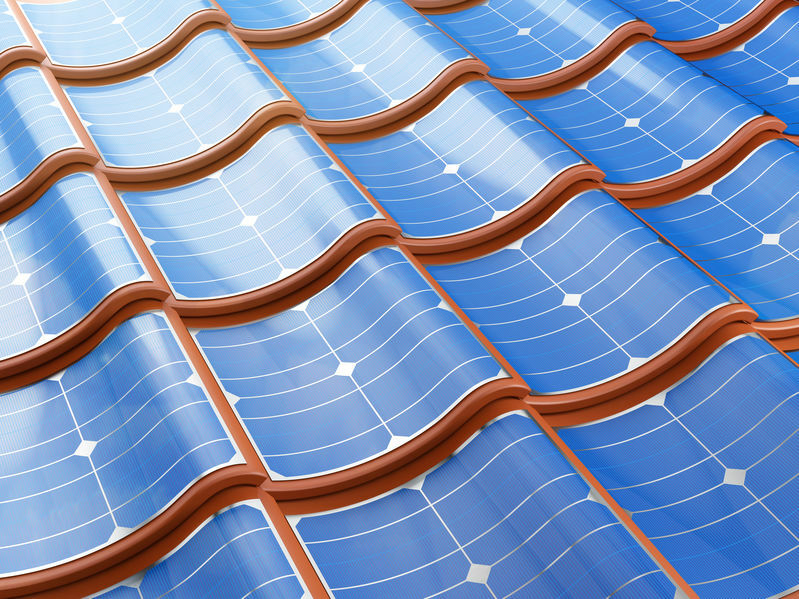 The growth of these technologies is also being driven by newer applications of solar panels, such as for building integrated photovoltaics (BIPV), rooftops / facades and applications that demand more flexibility, as well as low angle installations. As the demand for solar PV continues to rise at a steady pace, we are optimistic about the future of the thin film PV industry. Scope of the Report The Thin Film Photovoltaics Market, 2017-2030 report provides a comprehensive analysis of the current market landscape and a detailed future outlook of the thin film photovoltaics (PV) industry. As the global economy aims for energy security, renewable energy sources, such as solar power, are expected to play a pivotal role. In 2015, the solar energy sector attracted 56% of the total new investments (USD 286 billion) that were made in the renewable power and fuels industry. As a result of heavy funding and significant government support (in the form of subsidies), the prices of solar energy have plummeted by over 60% in the last 10 years. Our study encompasses the various thin film photovoltaic technologies that are currently available in the market, such as cadmium telluride (CdTe), copper indium selenide / gallium selenide (CIS / CIGS) and amorphous silicon (a-Si). We expect that, as this generation of thin film photovoltaic technologies matures, they are likely to benefit from economies of scale, resulting in further cost reductions. Subsequently, these technologies are likely to become one of the primary drivers behind the growth of the solar PV industry. In addition to aforementioned technologies, next generation thin film photovoltaic technologies, such as dye sensitized solar cells (DSCs), organic PV, and perovskite PV, are already being developed. These next generation thin film photovoltaic technologies are anticipated to gain more importance in the long term as they are believed to be superior in terms of energy generation capacity as well as flexibility. The study provides a deep dive into the developments that are impacting the current solar energy generation industry and are likely to drive significant changes in the long term. We were able to identify over 80 industry stakeholders, distributed across the three major thin film photovoltaic technologies. In addition to other elements, the study elaborates on the following: The current status of the market with respect to key players / technologies along with information on a company’s business model (whether it is focused on products or services or technology licensing or a combination of these), scale of operation (small, medium or large), substrate used, deposition process involved, cell / module capacity, conversion efficiency achieved, and geographical location of the companies. Comprehensive profiles of some of the key players across each type of thin film photovoltaic technologies, covering the current focus of the companies, details on their specific thin film PV technology, products and services, and associated recent developments & future outlooks. The impact of venture capital funding in this area. We believe that investments from private investors is a key enabler that is likely to drive significant developments in this industry in the long term. Investments from external sources generally enable stakeholders in the industry to scale-up their operations and develop / acquire the necessary technologies to carry out production at larger scales. This usually results in significant reductions in cost per unit. Next generation thin film PV technologies, such as dye-sensitized solar cells (DSCs), organic PV, and perovskite PV, with details on the key technologies involved, industry players focused in the area, current trends in the market, as well as future prospects. A high level patent analysis to provide an overview of how the industry is evolving from the R&D perspective. For this analysis, we looked at the patents that have been granted to various players in the last five years, across the current and next generation thin film PV technologies. Potential future growth in the thin film PV industry (both in terms of installed capacity and expected revenue generation) across the currently available technologies (CdTe, CIGS and a-Si). We have taken into account the overall installation cost of thin film PV modules to estimate future revenues. The report provides a comprehensive market forecast (till 2030) for the global, as well as the current top 10 regional solar PV markets, which includes the US, EU5 and Asia Pacific (Australia, China, India, and Japan), in terms of installed capacity. It also includes a segmentation by applications, distributed by small scale (such as consumer electronics), medium scale (such as residential rooftops and building facades) and large scale (such as solar parks, farms, plants), in terms of installed capacity and the potential revenues. The opinions and insights presented in this study were influenced by discussions conducted with several key players in this domain. The report features detailed transcripts of interviews held with Andreas Zimmerman (Owner, Sunplugged), Dieter Manz (Founder and CEO, Manz), Rombout Swanborn (Chairman, HyET Solar), Edward Hamers (CTO, HyET Solar) and Robin Quax (Production Engineer, HyET Solar). It is predicted that the global economy will increase by three-folds between now and 2050. This, in turn, is likely to result in increased energy demands.According to Enerdata Energy Statistical Yearbook 2016, electricity demand has more than doubled between 1990 and 2015 to reach 20,568 TWh. This demand is projected to grow even further; in fact, by 2035, the growth is expected to be in the range of 69% to 81%. As the global economy aims for energy security, renewable energy sources such as solar and wind are expected to hold a key position in the future. However, a major constraint with such renewable sources is that energy is generated with a highly variable output in an intermittent manner. Therefore, the surplus energy is required to be stored so that it can be supplied during non-optimal generation periods such as at night time or when the wind is not blowing. Storage at a large scale has remained a major challenge; however, several developments have taken place in this domain and efforts are being made towards their feasible commercial deployments. A variety of grid scale energy storage technologies are known to the industry and can be broadly categorized based on the type of energy being stored. Pumped hydro energy storage (PHES) is a well-established energy storage technique; however, because of known challenges, various other energy storage techniques, backed by public and private lending, have surfaced over the last decade. For a market such as energy storage, which is linked to the economy of a country, initiatives related to policy decisions and mass awareness play a key role in the growth. Some countries have introduced reforms / amendments in the policies to encourage the market for energy storage, while others are still debating on it. The White House Summit 2016 is a recent example of such initiatives. At the summit, a range of utility, industry and government storage commitments were highlighted to signify the importance of this subject. 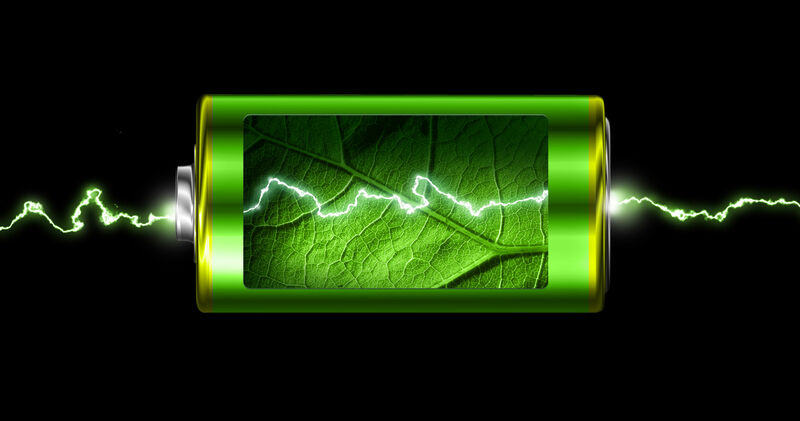 Post this, the Federal Energy Regulatory Commission (FERC) started working on re-evaluating some of the policies to encourage energy storage in the US. At the time of release of this study, policies favoring renewable energy over other sources were in place in about 50 countries. The common theme across these policies is priority dispatch of electricity from renewable sources, special feed-in tariffs, quota obligations for renewable energy and energy tax exemptions. In addition, legal bindings / agreements, such as COP21, to tackle climate change are encouraging the use of renewable energy, which, in turn, is likely to drive the energy storage industry. Scope of the Report The Grid Scale Energy Storage Technologies Market, 2017-2030 report provides a comprehensive analysis of the current market landscape and a detailed future outlook of the large scale energy storage technologies. The study highlights various energy storage technologies that are currently commercially available or are under development. These technologies can be classified as mechanical energy storage, chemical energy storage, electrochemical energy storage, thermal energy storage or electromagnetic energy storage technologies. The industry has long revolved around pumped hydro energy storage, which currently contributes close to 95% of the global energy storage capacity. However, several geographical and environmental constraints associated with it are likely to limit its growth in the long term. As a result, stakeholders have developed / are developing novel energy storage technologies to overcome the limitations of conventional systems. The primary focus of this study is on these novel / upcoming energy storage technologies, including different types of battery storage, compressed air energy storage, concentrated solar power / molten salt energy storage, flywheel energy storage and power-to-gas energy storage. The study provides a holistic coverage of the developments that are impacting the current energy storage setup and are likely to drive significant changes in energy management approaches in the long term. We were able to identify close to 170 energy storage technologies (excluding PHES) segmented across aforementioned categories. In addition to other elements, the study elaborates on the following: The current status of the market with respect to key players / technologies along with information on rated power, energy, duration / discharge time of the technologies and geographical location of the companies. Comprehensive profiles of some of the upcoming players under each energy storage category, covering details on the current focus of the companies, their specific energy storage technologies and associated recent developments / initiatives. Various investments and grants received by companies focused in this area to support their R&D activities, a key enabler that will continue to drive developments in the long term. In addition, respective governments have taken encouraging policy decisions, which have provided positive outlook to the energy storage industry. A case study on pumped hydro energy storage, where we have provided information on the plants that are currently operational as well as the ones expected to be operational in the near future. In addition, we have highlighted the historical trends that are likely to govern the future evolution. Key drivers and restraints for the growth of the grid scale energy storage market. Factors such as rising adoption of renewable energy sources, limitations of conventional energy storage systems and high electricity charges are likely to fuel the demand of energy storage systems. Potential future growth of the grid scale energy storage market (both in terms of installed capacity and expected revenue generation) across different technologies (CSP / molten salt energy storage, compressed air energy storage, lithium-ion batteries, lead acid batteries, flow batteries, flywheel energy storage, power-to-gas energy storage and other upcoming technologies). We have taken into account the levelized cost of energy storage to determine revenues for different energy storage technologies. The report covers forecast (till 2030) for the global as well as specific regional markets (North America, Europe, Asia and Rest of World) in terms of installed capacity. It also includes individual forecasts on the installed capacity in specific countries, including the US, France, Germany, Italy, Spain, the UK, Ireland, China, India, Japan, South Africa, South Korea, Chile and Morocco, that are poised to witness healthy growth in the short-midterm and long term. Our opinions and insights presented in this study were influenced by discussions conducted with several key players in this domain. The report features detailed transcripts of interviews held with Anoop Mathur (CTO and Founder, Terrafore Technologies), Camilo Lopez Tobar (Business Development Manager, Electrochaea), Dr. Markus Ostermeier (Product Development Manager, Electrochaea), Eric Murray (President and CEO, Temporal Power), Itai Karelic (Vice President Business Development, EnStorage), John McCleod (Vice President Engineering, ZincNyx Energy Solutions) and Suresh Singh (President and CEO, ZincNyx Energy Solutions), Nicolas Velasco (Commercial Director, Albufera Energy Storage), Rainer Grumann (Vice President Sales, Heliocentris), Sonya Davidson (President and CEO, H2 Energy Now), and Tom Stepien (CEO and Co-founder, Primus Power). Deep learning is a novel machine learning technique that can be used to generate relevant insights from large volumes of data. The term Deep Learning was coined in 2006 by Geoffrey Hinton to refer to algorithms that enable computers to analyze objects and text in videos and images. Fundamentally, deep learning algorithms are designed to analyze and use large volumes of data to improve the capabilities of machines. Companies, such as Google, Amazon, Facebook, LinkedIn, IBM and Netflix, are already using deep learning algorithms to analyze users activities and make customized suggestions and recommendations based on individual preferences. Today, in many ways, deep learning algorithms have enabled computers to see, read and write. In light of recent advances, the error rate associated with machines being able to analyze and interpret medical images has come down to 6%, which, some research groups claim, is even better than humans. The applications of the technology are being explored across a variety of areas. Specifically in healthcare, the American Recovery and Reinvestment Act of 2009 and the Precision Medicine Initiative of 2015 have widely endorsed the value of medical data in healthcare. Owing to several such initiatives, medical big data is expected to grow approximately 50-fold to reach 25,000 petabytes by 2020. Since 80% of this is unstructured, it is difficult to generate valuable / meaningful insights using conventional data mining techniques. In such cases, deep learning has emerged as a novel solution. 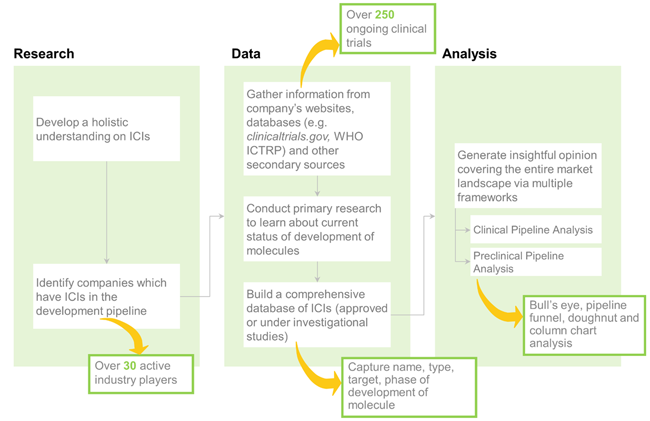 Lead identification and optimization in drug discovery, support in patient recruitment for clinical trials, medical image analysis, biomarker identification, drug efficacy analysis, drug adherence evaluation, sequencing data analysis, virtual screening, molecule profiling, metabolomic data analysis, EMR analysis and medical device data evaluation are examples of applications where deep learning based solutions are being explored. The likely benefits associated with the use of deep learning based solutions in the above mentioned areas is estimated to be worth multi billion dollars. There are well-known references where deep learning models have accelerated the drug discovery process and provided solutions to precision medicine. With potential applications in drug repurposing and preclinical research, deep learning in drug discovery is likely to have great opportunity. In diagnostics, an increase in the speed of diagnosis is likely to have a profound impact in regions with large patient to physician ratios. The implementation of such solutions is anticipated to increase the efficiency of physicians providing a certain amount of relief to the overly-burdened global healthcare system. Scope of the Report The “Deep Learning: Drug Discovery and Diagnostics Market, 2017-2035” report examines the current landscape and future outlook of the growing market of deep learning solutions within the healthcare domain. Primarily driven by the big data revolution, deep learning algorithms have emerged as a novel solution to generate relevant insights from medical data. This continuing shift towards digitalization of healthcare system has been backed by a number of initiatives taken by the government, and has also sparked the interest of several industry / non-industry players. The involvement of global technology companies and their increasing collaborations with research institutes and hospitals are indicative of the research intensity in this field. At the same time, the pharma giants have been highly active in adopting the digital models. Companies such as AstraZeneca, Pfizer and Novartis continue to evaluate the digital health initiatives across drug discovery, clinical trial management and medical diagnosis. Some notable examples of such digital health initiatives include GSK and Pfizer’s collaboration with Apple for the use of the latter’s research kit in clinical trials, Biogen’s partnership with Fitbit for using smart wearables in clinical trial management, and Teva Pharmaceuticals’ partnership with American Well to use Smart Inhalers for patients with asthma and COPD. Backed by funding from several Venture Capital firms and strategic investors, deep learning has emerged as one of the most widely explored initiatives within digital healthcare. The current generation of deep learning models are flexible and have the ability to evolve and become more efficient over time. Despite being a relatively novel field of research, these models have already demonstrated significant potential in the healthcare industry. One of the key objectives of this study was to identify the various deep learning solutions that are currently available / being developed to cater to unmet medical needs, and also evaluate the future prospects of deep learning within the healthcare industry. 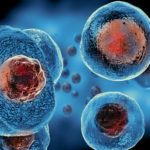 These solutions are anticipated to open up significant opportunities in the field of drug discovery and diagnostics as the healthcare industry gradually shifts towards digital solutions. In addition to other elements, the study covers the following: The current status of the market with respect to key players, specific applications and the therapeutic areas in which these solutions can be applied. The various initiatives that are being undertaken by technology giants, such as IBM, Google, Facebook, Microsoft, NVIDIA and Samsung. The presence of these stakeholders signifies the opportunity and the impact that these solutions are likely to have in the near future. Specifically, we have presented a comparative analysis of the deep learning solutions developed by IBM and Google. Detailed profiles of some of the established, as well as emerging players in the industry, highlighting key technology features, primary applications and other relevant information. The impact of venture capital funding in this area. It is important to mention that since the industry has witnessed the emergence of several start-ups, funding is a key enabler that is likely to drive both innovation and product development in the coming years. An elaborate valuation analysis of companies that are involved in applying deep learning in drug discovery and diagnostics. We built a multi-variable dependent valuation model to estimate the current valuation of a number of companies focused in this domain. Future growth opportunities and likely impact of deep learning in the drug discovery and diagnostics domains. The forecast model, backed by robust secondary research and credible inputs from primary research, was primarily based on the likely time-saving and its associated cost-saving opportunity to the healthcare system. For the purpose of the study, we invited over 100 stakeholders to participate in a survey to solicit their opinions on upcoming opportunities and challenges that must be considered for a more inclusive growth. Our opinions and insights presented in this study were influenced by discussions conducted with several key players in this domain. The report features detailed transcripts of interviews held with Mausumi Acharya (CEO, Advenio Technosys), Carla Leibowitz (Head of Strategy and Marketing, Arterys) and Deekshith Marla (CTO, Arya.ai).